ALL SALES ARE FINAL. This product has been discontinued and is discounted accordingly. Quantities not guaranteed. 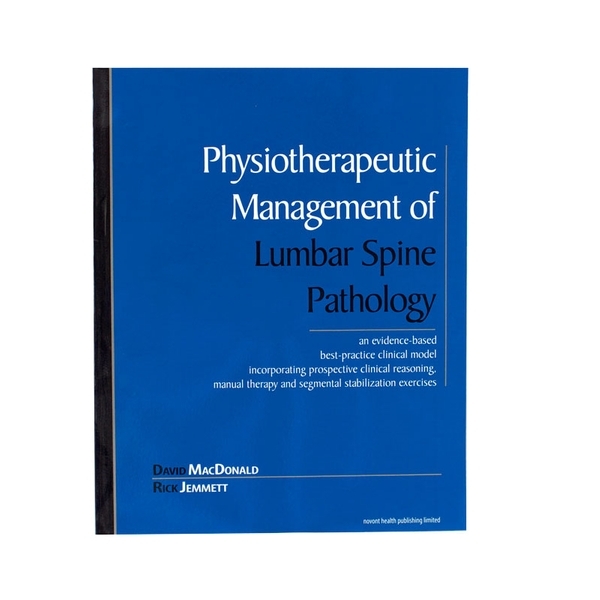 This text by David MacDonald, BSc, PT, and Rick Jemmett, BSc, PT, details a practical manual therapy approach to the assessment and treatment of lumbar spine pathology. A strong emphasis on clinical reasoning is evident throughout. Comprehensive and evidence-based, the clinical model incorporates current research regarding neutral zone, segmental instability and correct motor re-education of multifidus and transversus abdominus. Fully illustrated. Softcover, over 200 pages.